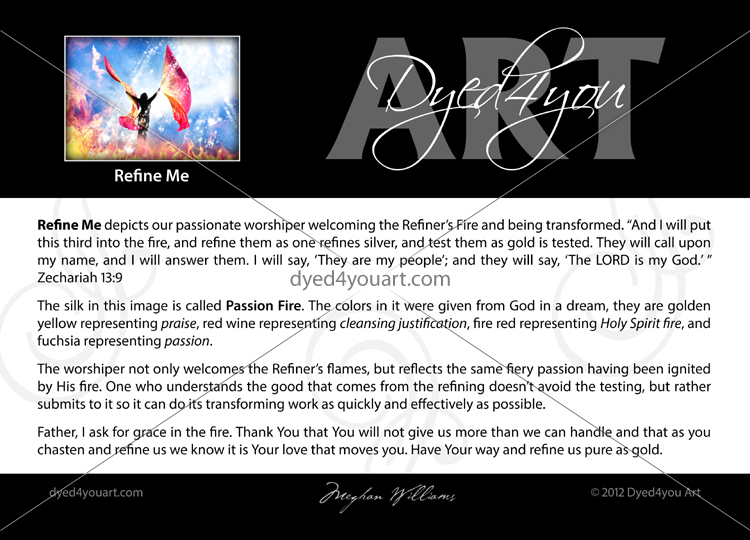 Refine Me depicts our passionate worshiper welcoming the Refiner’s Fire and being transformed. 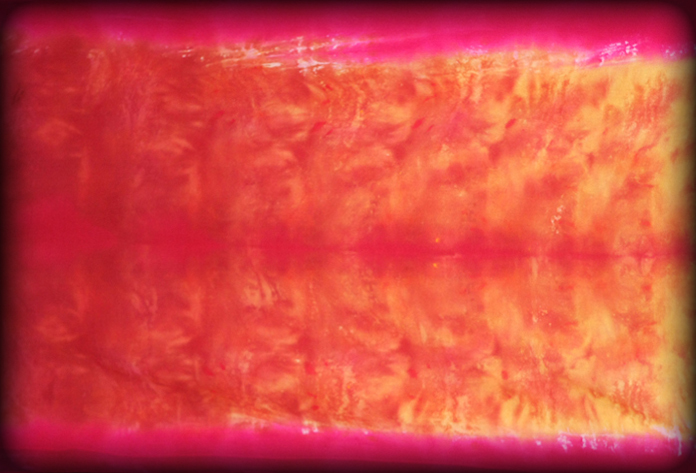 The silk in this image is called Passion Fire. The colors in it were given from God in a dream, they are golden yellow representing praise, red wine representing cleansing justification, fire red representing Holy Spirit fire, and fuchsia representing passion. 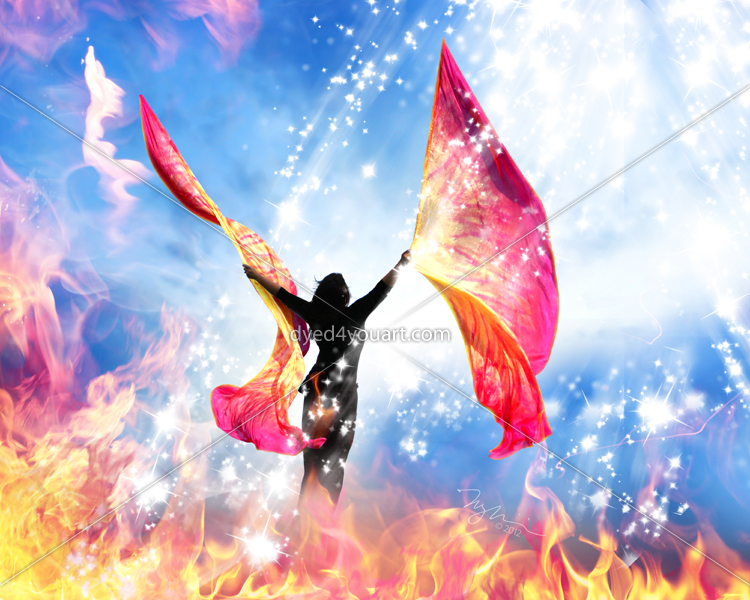 The worshiper not only welcomes the Refiner’s flames, but reflects the same fiery passion having been ignited by His fire. One who understands the good that comes from the refining doesn’t avoid the testing, but rather submits to it so it can do its transforming work as quickly and effectively as possible. Father, I ask for grace in the fire. Thank You that You will not give us more than we can handle and that as you chasten and refine us we know it is Your love that moves you. Have Your way and refine us pure as gold. WOW.. I love this!! It is breathe taking! Wow! I really like this one! Been awhile since I visited your website. Meghan… i’m giggling while i type this. As always, i love your work. My question today is this: when you are creating or worshipping, is this what you -see-? Does the Lord open doors for you to look at what He sees? Or does He just heighten the world around you? OKAY, I finally found one that says “YOU GOTTA BUY ME! 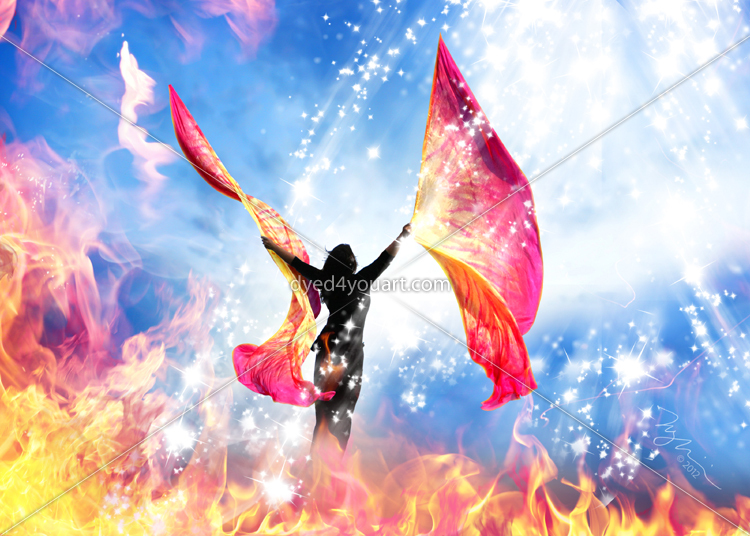 !” This is absolutely an annointed depiction of worship & the FIRE of GOD! !